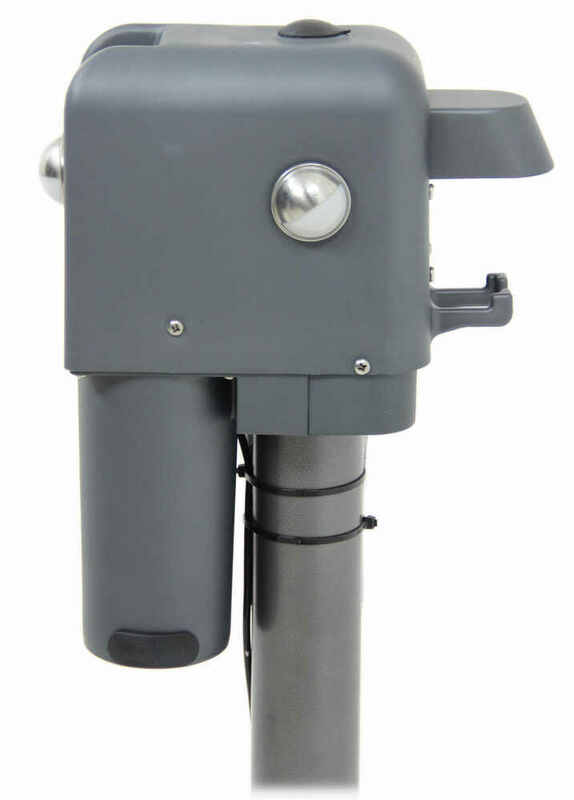 Powered jack features a ball-bearing screw system that reduces noise and wear and operates more efficiently than standard screw systems. Automatic stop prevents damage to gears. Front and side LEDs offer nighttime visibility. 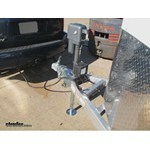 Call 800-298-8924 to order Husky camper jack part number HT87247 or order online at etrailer.com. Free expert support on all Husky products. 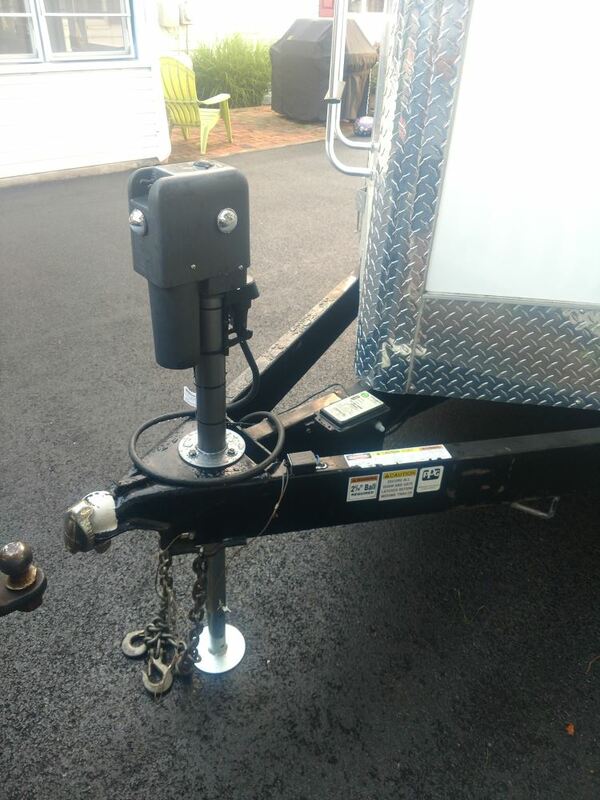 Guaranteed Lowest Price and Fastest Shipping for Husky Brute Electric Trailer Jack - Drop Leg - A-Frame - 18" Lift - 4,500 lbs. 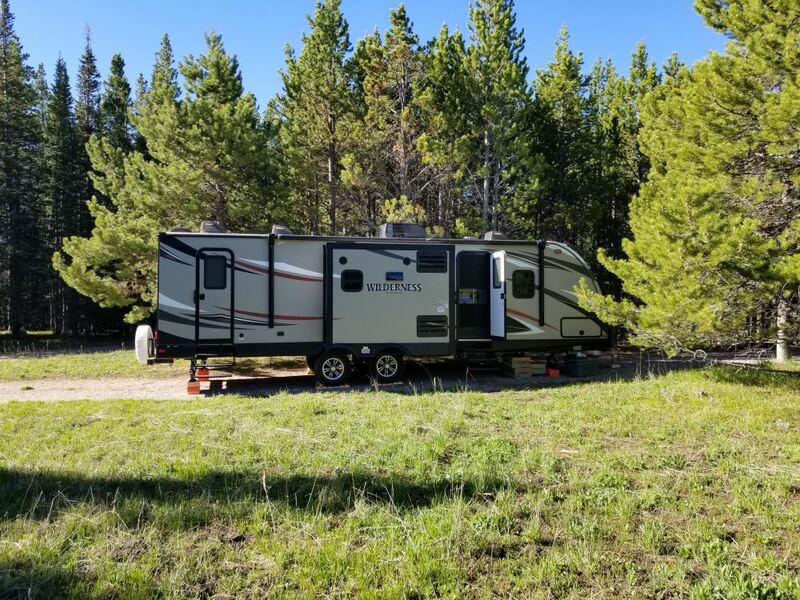 Camper Jack reviews from real customers. Typical jack screw systems feature direct contact between the surfaces of the screw and the threaded nut. This constant contact produces a good deal of friction, which not only increases the amount of power necessary to operate the jack but also creates heat within the system. Heat leads to increased wear on the threads, and this wear can ultimately lead to failure. 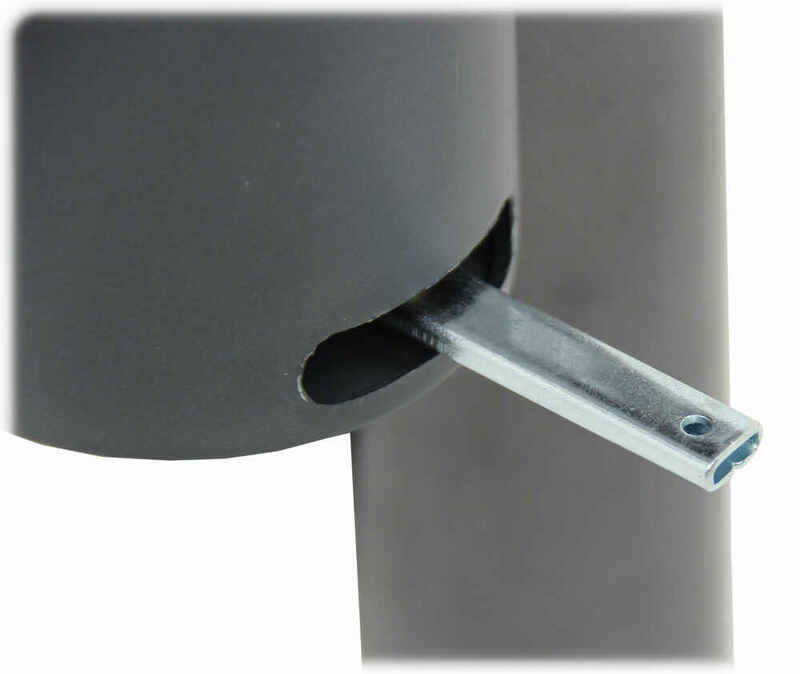 The Brute is built with ball bearings that roll smoothly along the threads of the screw shaft and the nut, thereby eliminating direct surface-to-surface contact. This produces far less friction along the threads, leading to a reduction in heat and wear, as well as noise. In addition, because much of the friction is eliminated, less power is needed to operate the Brute. 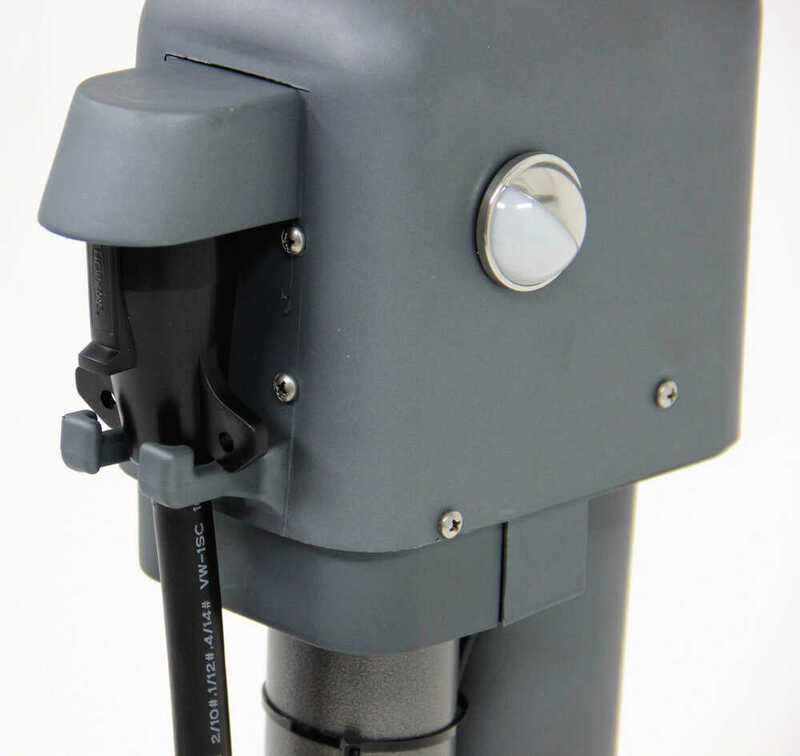 This electric jack pulls 30 percent less amperage than jacks with traditional screw systems. 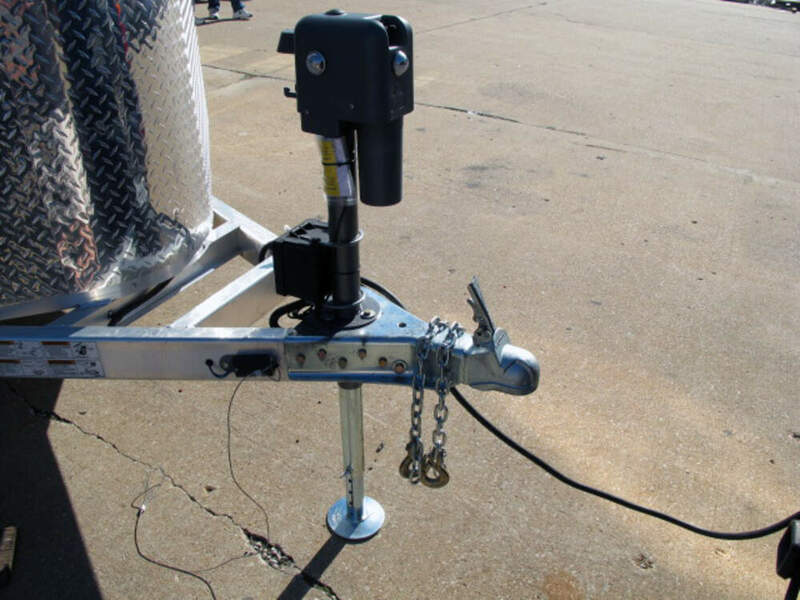 The overall result is a jack that can be raised and lowered faster, smoother and more efficiently. 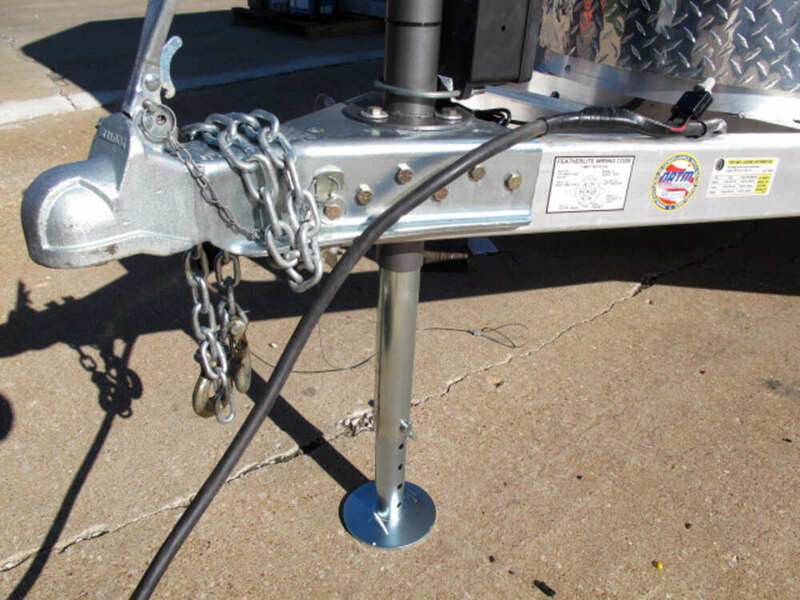 When a typical trailer jack is extended beyond the recommended height, the threaded nut that creates the up-and-down movement will hit a built-in stop at the top of the shaft - and hit it hard. If you leave the motor running, the nut will continue to apply pressure to this stop as it attempts to rise higher. The result is extreme stress on the gears and on the jack as a whole. The Husky Brute has an integrated safety feature to combat this problem. 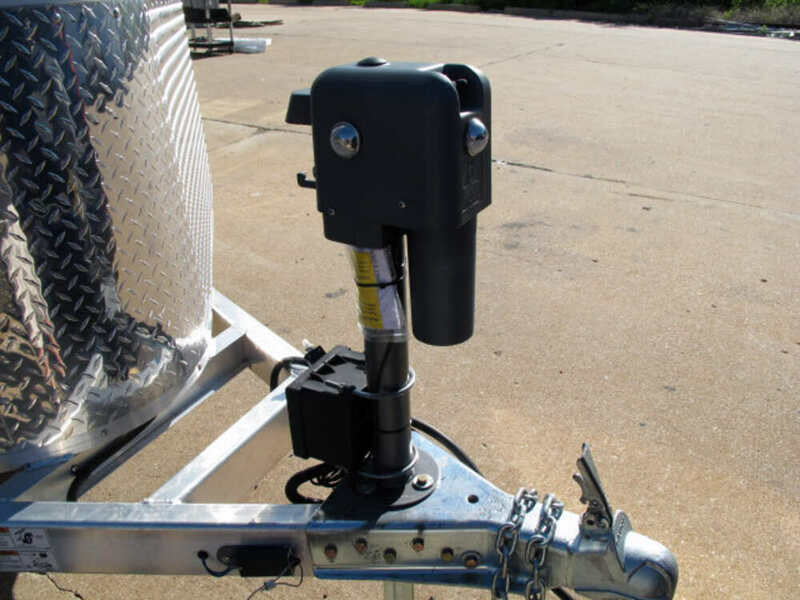 The SmartStop timing system ensures that the jack motor shuts off before the nut can hit the built-in stop. No hard mechanical stops. No undue stress on the screw system. And most importantly, no damage to your powered jack. 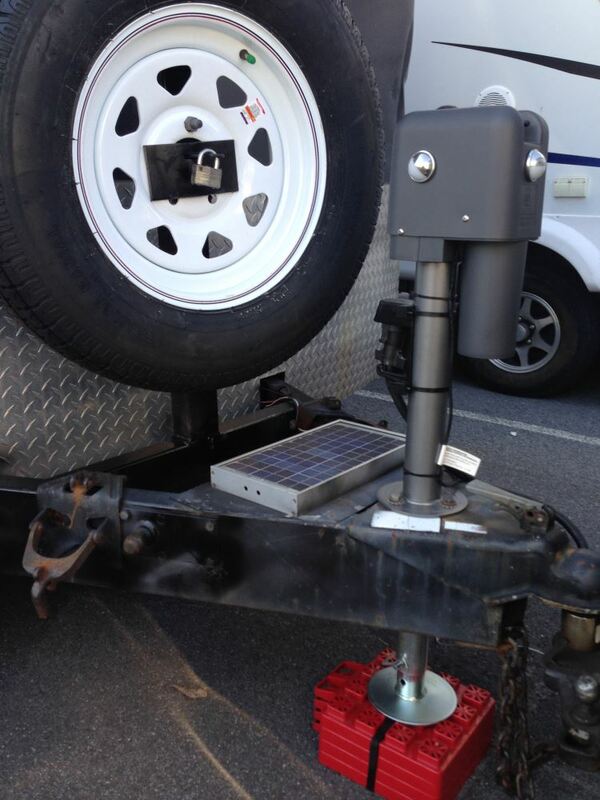 Automatically level and stabilize your fifth-wheel RV with this electronic leveling system. 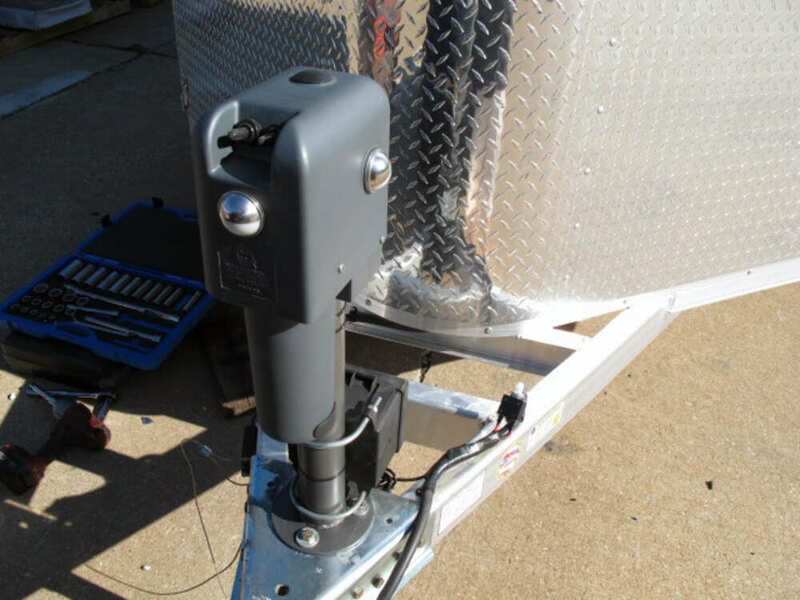 4 Precise, motorized jacks can be operated by either the included touchpad or the touchscreen remote. Hitch recognition memory function offers simple hookup. 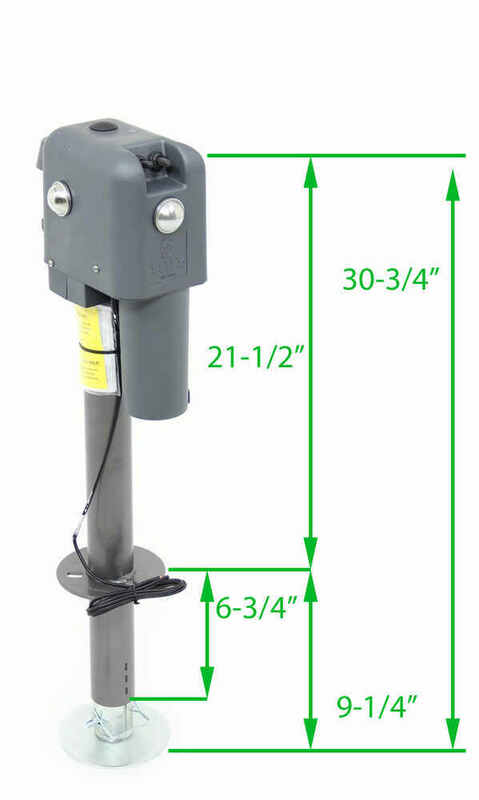 Ultra-Fab Electric A-Frame Jack - Drop Leg - 18" Lift - 4,000 lbs - 2-1/4" O.D. 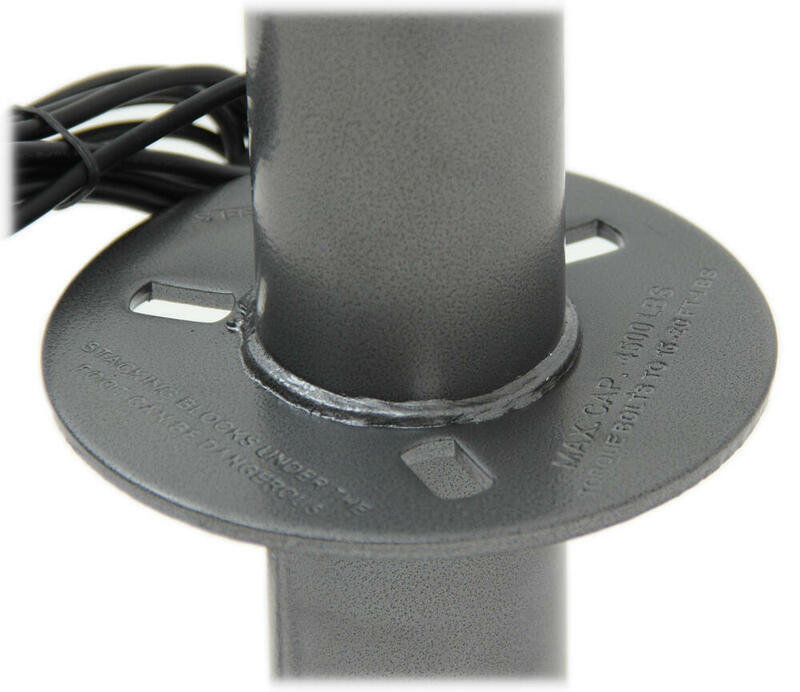 Ultra-Fab Protective Cover for Electric A-Frame Jacks - Vinyl - 10-1/2" x 13-3/4"
Today we're going to review Part Number HT87247. 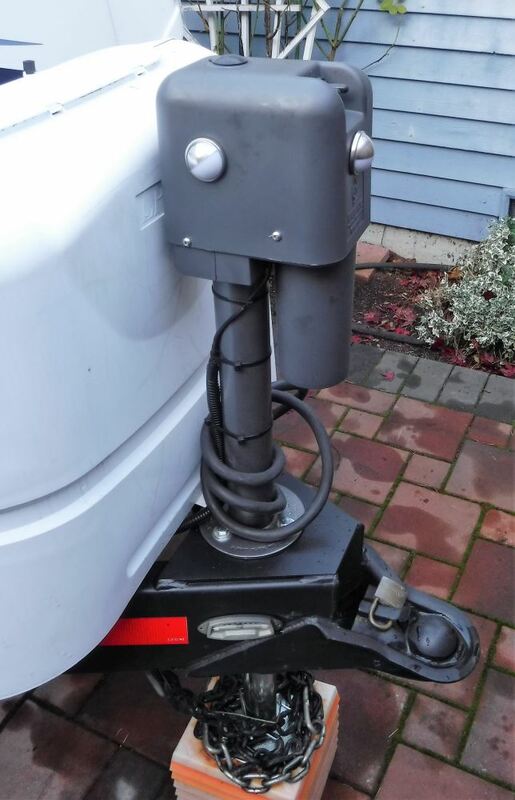 This is the Husky Brute Electric Trailer Jack. It has a dropleg design and is designed for A-frame trailers, has an 18-inch lift, and a 4500-pound weight capacity. 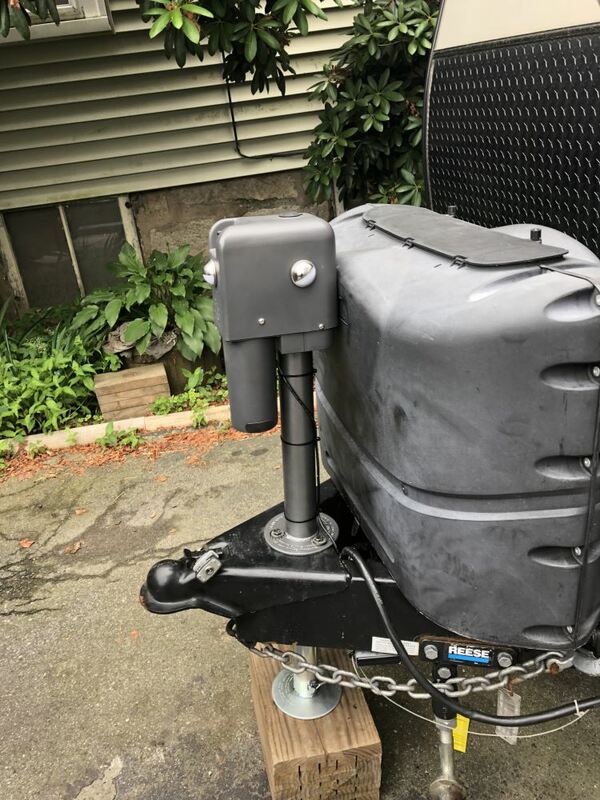 This electric jack with the power drive will let you lift and lower your trailer quickly and easily. 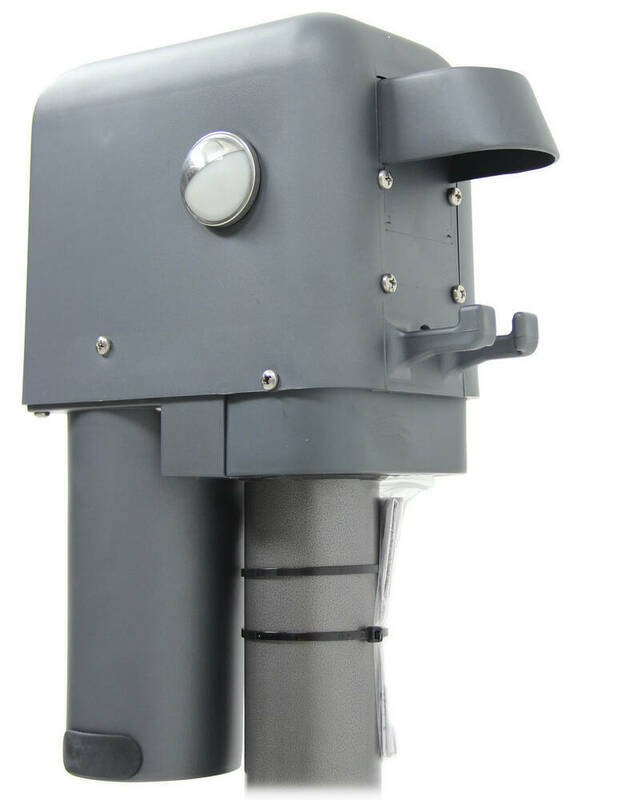 It does use a low-friction ball screw, which will minimize resistance, helps reduce wear, noise, and heat, and the difference compared to your regular typical screw system, it uses ball bearings, which will roll smoothly through the threads so there's no direct friction-inducing contact. That means there's 30% less power draw than the typical screw systems. 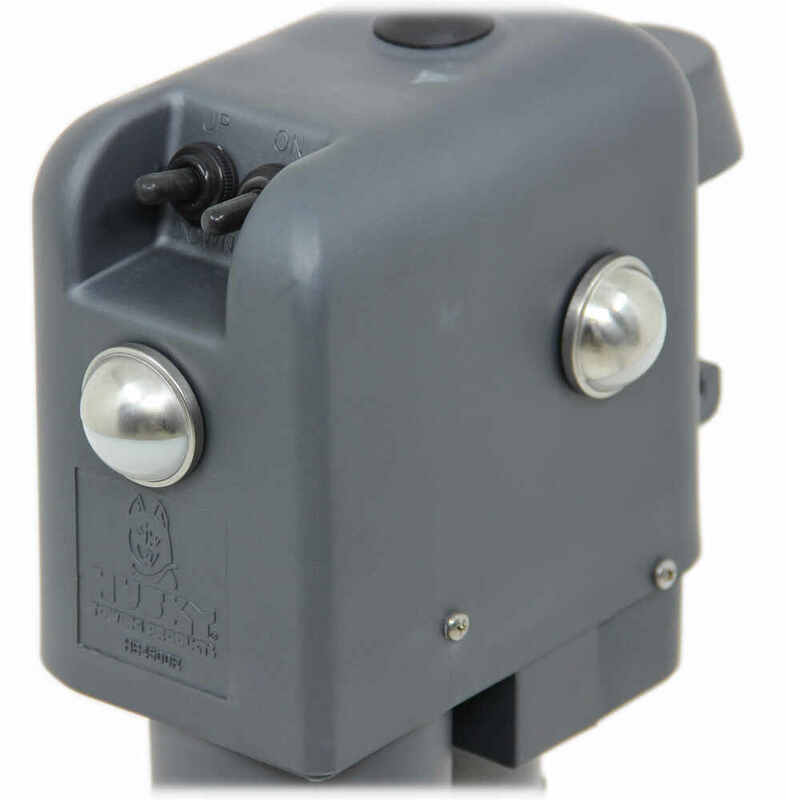 It does have a SmartStop, which is an automatic stop to prevent damage caused by hard stops and excessive pressure. Basically what happens is the motor will shut down before the nut reaches the end of the shaft. What that means is, I'm going to show you once Ihook it up a little bit later here, when you push the toggle switch and you retract it, and you get to the point where it can't go any further, even though your finger is on this switch, it'll stop because of that SmartStop design. If you also notice it has the 3 LEDs. There's one in front, which helps in nighttime hookups to the trailer. It also has one on each side. The reason they're on the sides is it'll help as far as if you're going to hook up or disconnect your weight distribution system at night also. 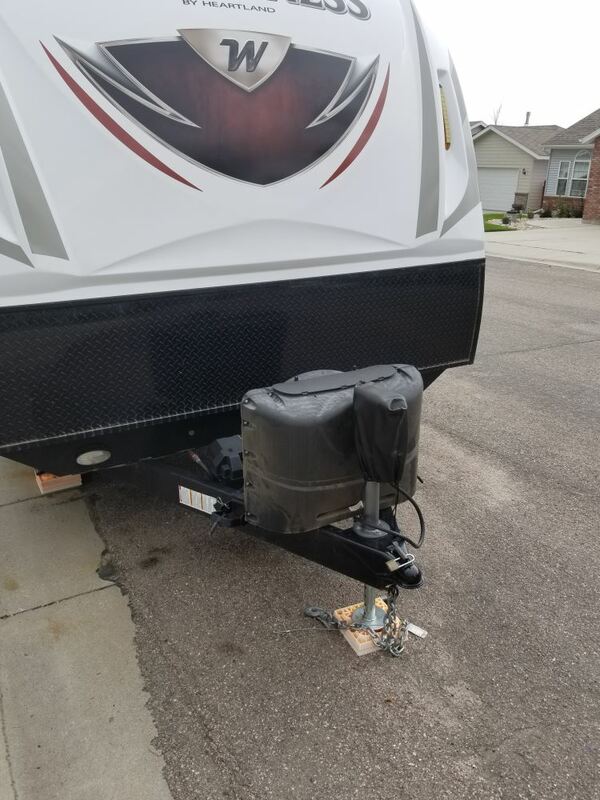 The very back of the jack, if you'll notice, has a trailer connector storage bracket. This'll guard your trailer wiring from the elements. You can just hang it right up in there to protect it. It does have the drop leg. 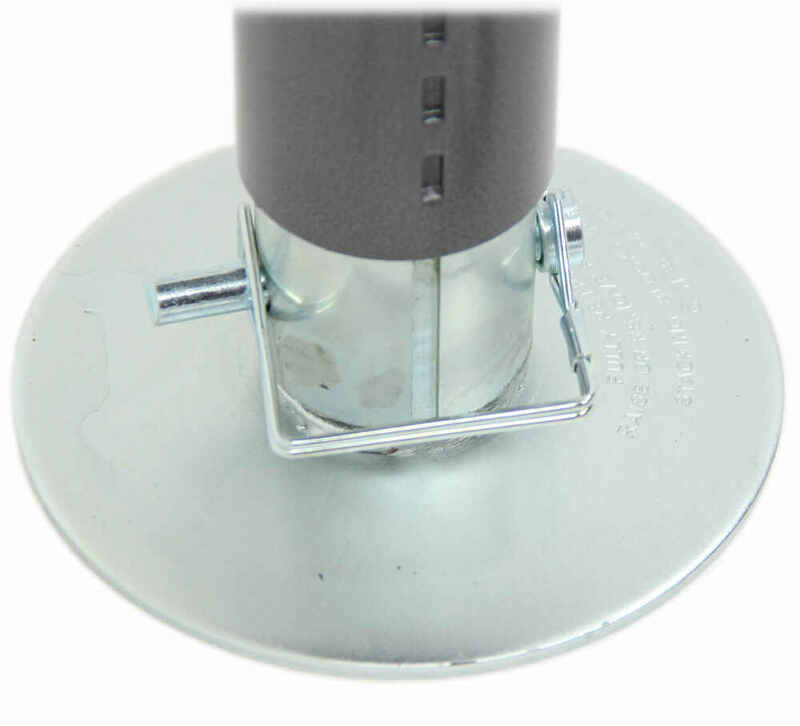 The drop leg does have a foot plate which has a diameter of 5 1/2 inches. The drop plate actually can be adjustable up to 6 inches. In other words, if you just pull this clip off, and we turn it here, we'll pull this pin out, you can see that you can adjust the range of the drop leg; about 6 inches is the total amount you can adjust it. Once you get it in the spot, I'mjust going to put it on the lowest one right now, you put the pin and clip back in, you're ready to go. 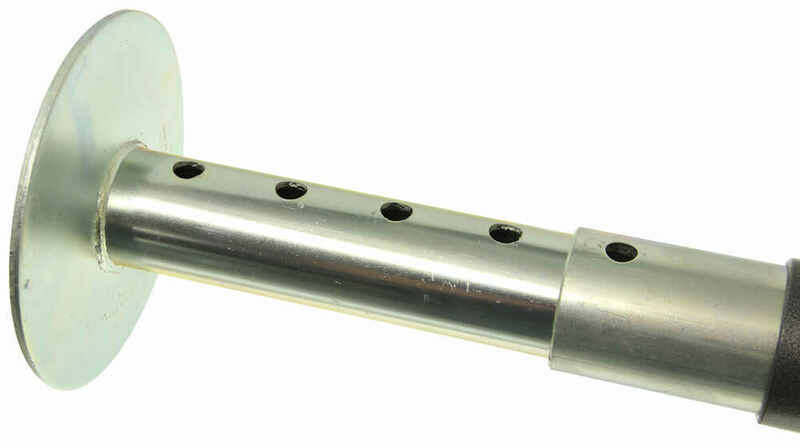 On the inside of this jackit uses stainless steel gears and stainless steel fasteners, which offer maximum durability. This outside is a very sturdy cover. 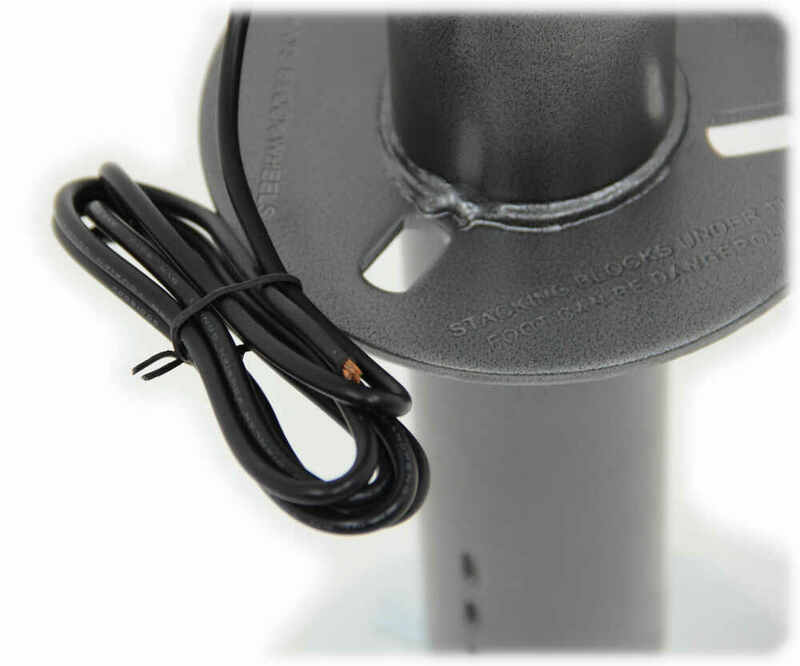 The switches are a weatherproof switch which will prevent water-related damage to the motor. It does have a nice silver powder-coat finish to help resist corrosion. 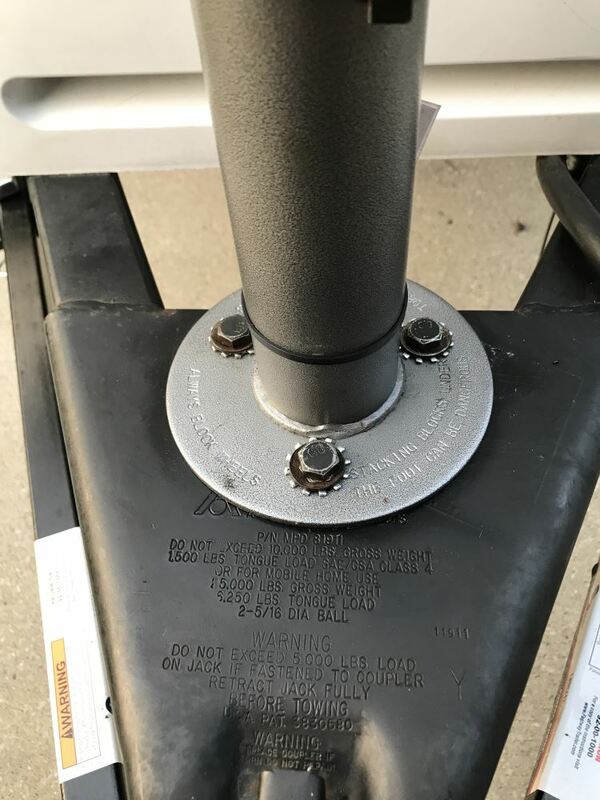 As you can see, it's a bolt-on installation for A-frame trailers, and it has the 3 holesat the dimensions that are the industry standard for your A-frame trailers. This jack does come with the parts shown here. It comes with this manual override crank that allows you to operate this when you lose power or just need to manually retract it or extend it. You do have to use . It has this brake release lever. I'll show you how that works. It also comes with this 30-amp circuit breaker. Basically, if you'll notice, it has this 6-foot length of 10-gauge power wire. 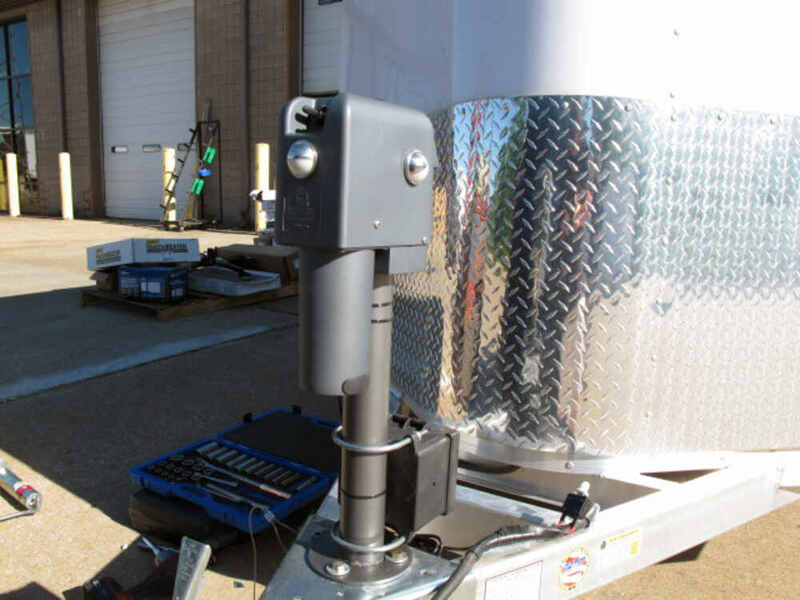 When you install this, you will actually ground when you mount it to your trailer. It'll ground through the trailer itself, so you just have the one power wire. What you would do is you would put this circuit breaker in line when you connect it. One end would go to this wire, the other end to your power source. That way you have a 30-amp circuit breaker. If you overload, to protect this jack, it'll overload, pop that circuit breaker, then once you fix your problem, you can just push that button on top and that'll reset it. I do want to show you the override. In other words, the situation where you lose power or don't have access to power and you've got to manually operate this jack. What you'll want to do is at the very top here, if I can turn it toward you, there's a black rubber plug. You just pull that plug right out. There's an opening there. You'll take this manual crank in the socket end. You just fit that in there. Once you feel around you'll feel it fit right on just like a socket. You have a crank here, but before you can crank it, what you'll need to do is release the brake. The way you do that is you pull this plug off right here on the side. 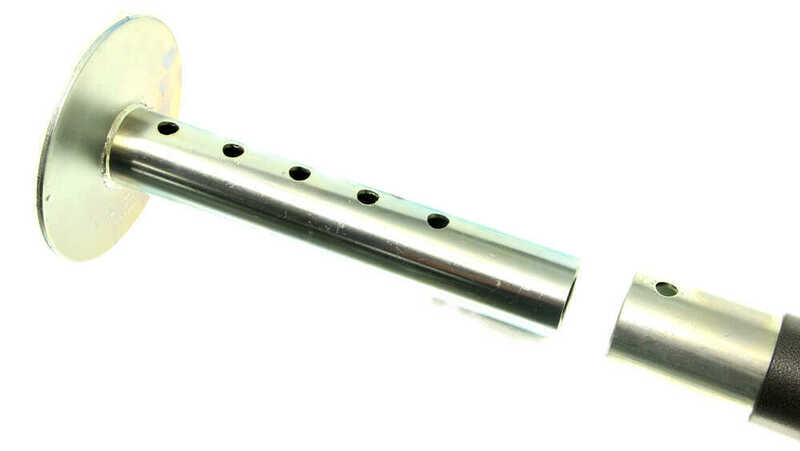 You'll take this little lever, this is the brake release lever; it has this open slot to it. You'll see the lever in there. Just put that inaudible 0:04:22 Inthere and then push it forward and that'll release your brake. That will allow you to crank this to retract it or extend it manually without any power.Put the plugs back in here. Do need to work the plugs a little bit, because they do seal completely. There we go. We'll take the crank out. See if Ican get this plug back in here. It's a tight seal, so sometimes it takes a little working. Yep,there we go. That'll work for now. Okay. We do want to give you a few measurements on this. I am going to hook this up. I have a 12-volt power source here to show you how this'll operate, but I do want to give you some measurements first. 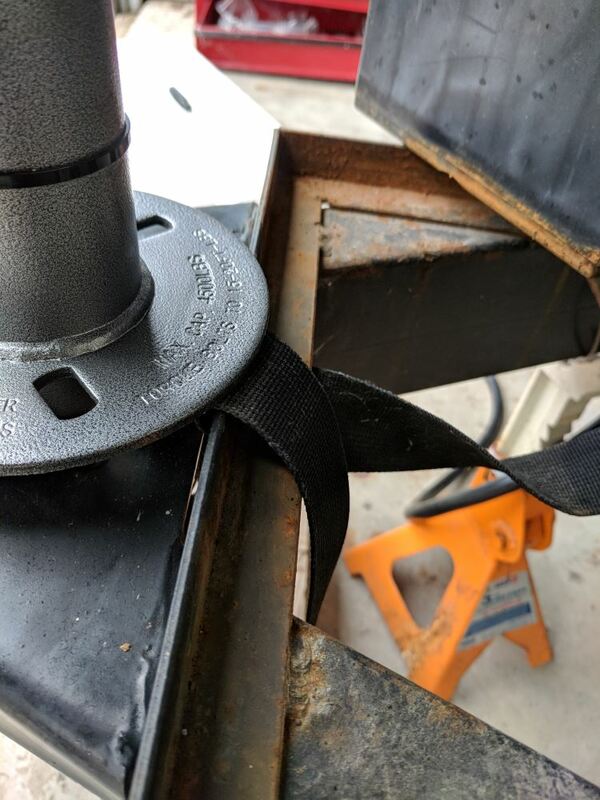 I have the jack fully retracted, the footplate all the way at the bottom retracted, so your bracket height is going to be 8 1/2 inches retracted. 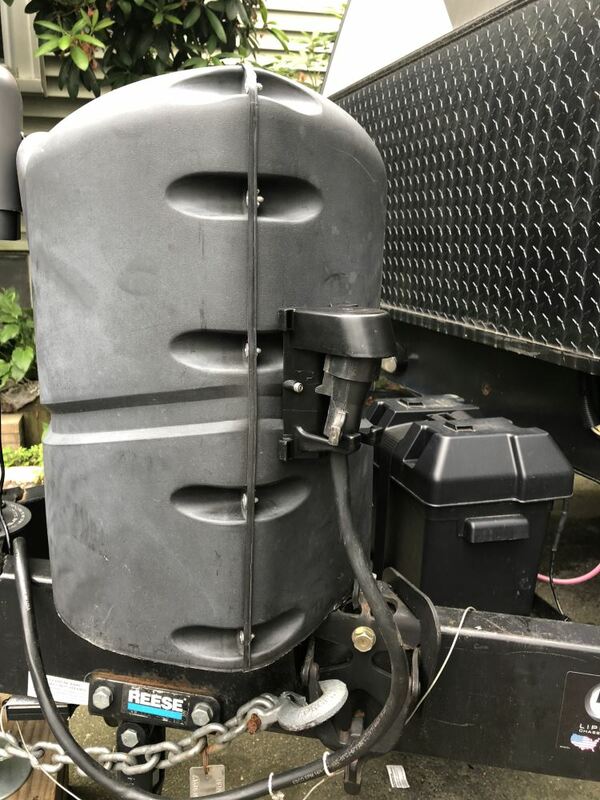 If you would fully extend this jack out and leave the footplate as it is, retracted, it would give you a total extended height of 26 1/2 inches. The lift on this is 18 inches. If you do use the drop leg adjustment of 6 inches more, that gives you a total of 24 inches total travel; the 18-inch lip, the 6-inch drop leg. If you ended up extending the jack all the way and the drop leg all the way, that would give you a total extension of about 32 1/2 inches. The lift capacity on this jack is 4500 pounds. The tube right here is 2 1/4 inches. 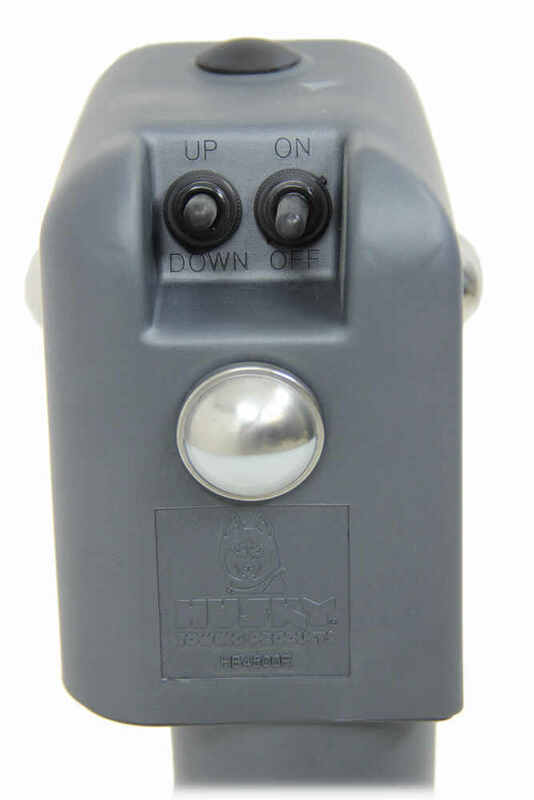 This is a 12-volt jack. It does estimate about 10 inches of travel in 38 seconds. It does come with a 1-year warranty. What I want to do is I want to show you, I just want to hook it up to this power source. Ihave a 12-volt power source. There's 12-volt power, but needs to be grounded. Since we don't have this mounted and this paint might not give a good ground, what I'm going to do is ground it to the footplate. I'm going to show you, you can see the lights come on. There's your front light. There's the light on each side; on and off. To operate the jack is this toggle switch right next to the light switch. If we pull up on it, you can see it extending it out. If you let go, it's a toggle switch so it'll stop automatically. If you push it down, you can see it's retracting and you'll notice the SmartStop design right there. Let me show you. I still have my finger on it. Watch, it'll hit andyour finger's still on it, it'll automatically stop it. Very nice feature to protect your jack. 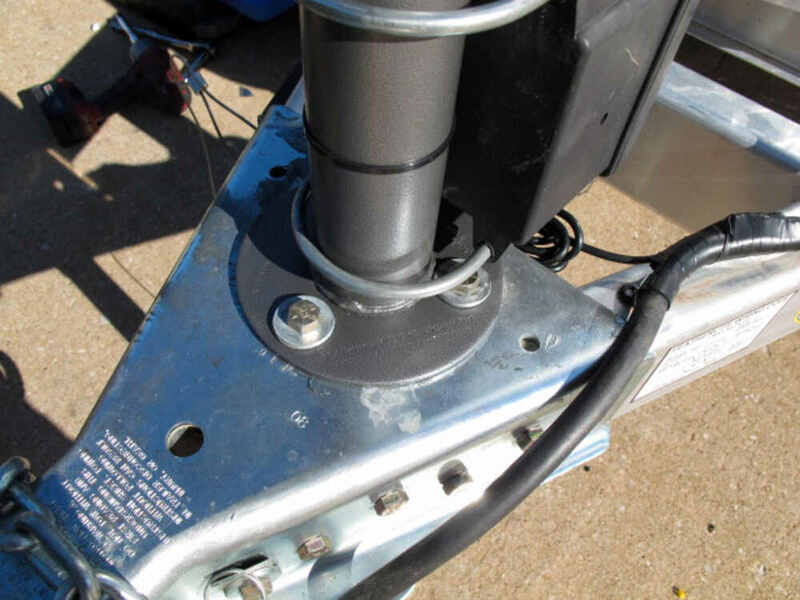 That should do it for the review on Part Number HT87247, the Husky Brute Electric Trailer Jack Drop Leg Design for the A-frame trailers. .
Order: RelevanceNewestRating - High to LowRating - Low to High Powered jack features a ball-bearing screw system that reduces noise and wear and operates more efficiently than standard screw systems. Automatic stop prevents damage to gears. Front and side LEDs offer nighttime visibility. Still works like a champ. There are a few things that could be causing the problem youre experiencing. 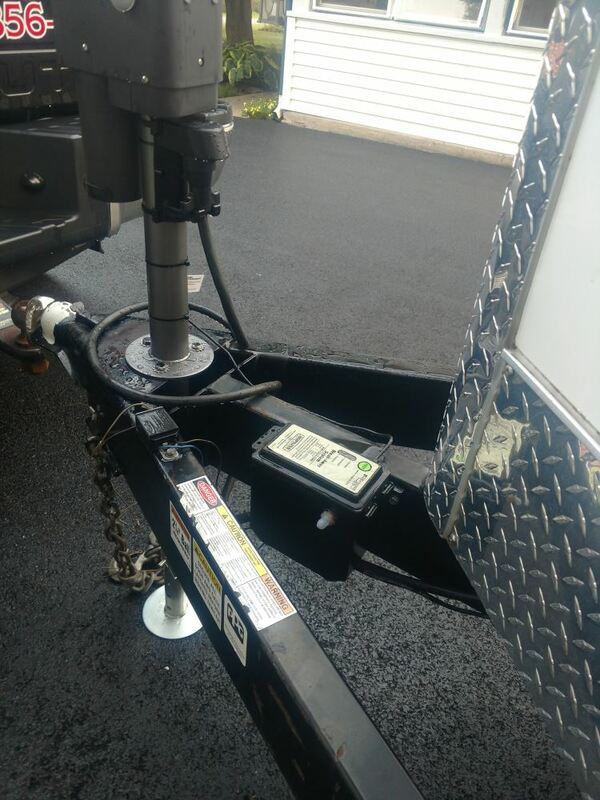 Overloading the jack is the most common culprit, but since the jack you purchased has a whopping 4500 lb lift capacity, so I doubt thats the issue. The next likely candidate is a short in the power feed circuit. Make sure the connection at the battery is secure, and that the power feed wire doesnt have any nicks or cuts in it. Its been a year, and that lift is so dependable, I use it 7 days a week to hook up and unhook my 19 dual axle 10,000 lb. enclosed work trailer. Never fails! So much easier than hand cranking the jack. Its more then worth the money. 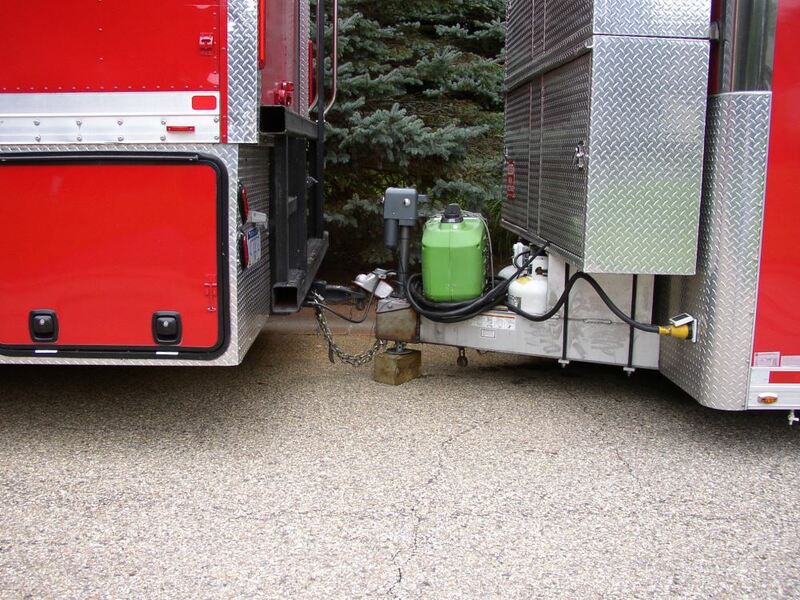 Jack still works great, it is rated for 4500 pounds and my trailer is a mobile commercial kitchen with close 8000 pound weight and it handles it without an issue. when its not in use I use 6 ton jacks to support it, but the jack handles the load without an issue. Will definitely recommend this product! After one year, the jack has worked perfectly with no issues whatsoever. I am very pleased with the purchase. Its been great. 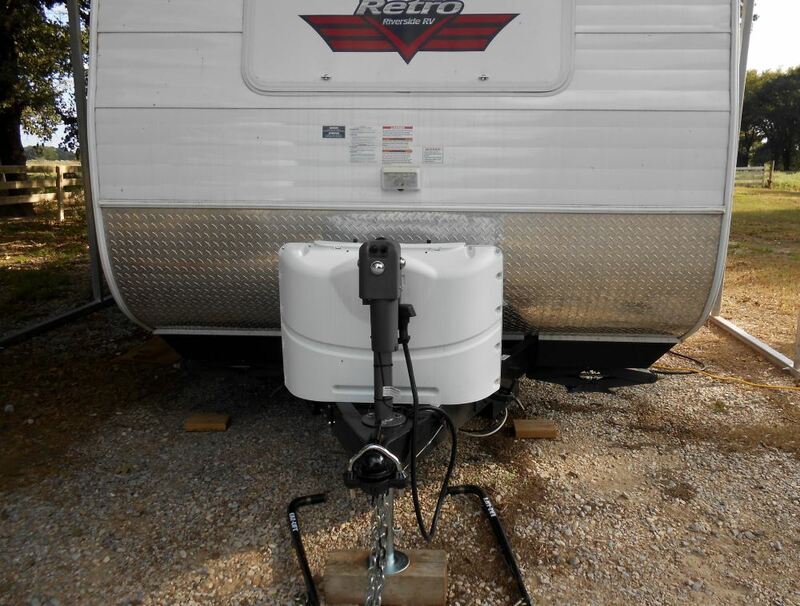 The jack is quick, quiet and has plenty of power to lift and lower my trailer. A great product. After a full season of use, still excellent! Got a good deal of use last season with many set-ups during one 16 day trip and a 30 plus day excursion. No issues other than one mounting bolt head has rusted a bit for some reason, but nothing a little Rustoleum doesnt cure! Meets all expectations! 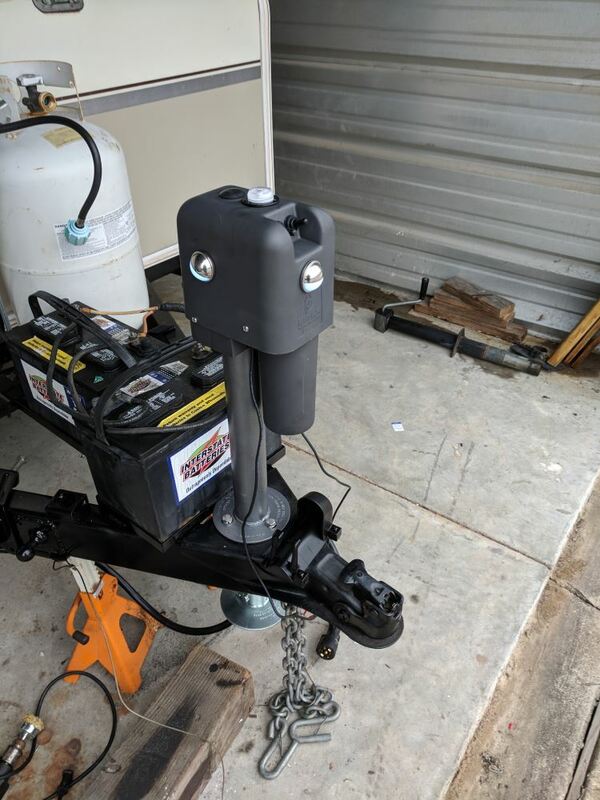 Id definitely recommend this unit to anyone whos considering the purchase of a powered hitch jack. 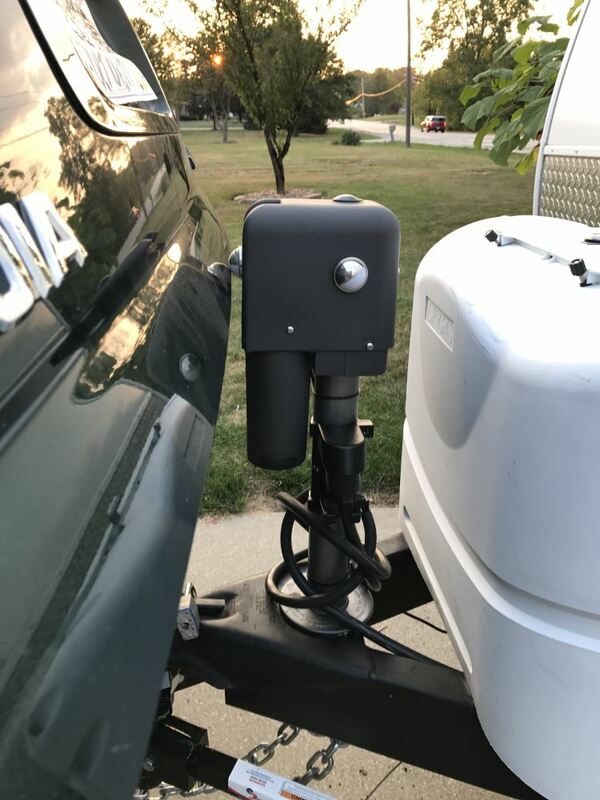 It has worked flawlessly since I installed it over a year ago, and I continue to be amazed at how it simplifies and speeds up the process of hitching and unhitching the trailer, as well as fine tuning the final level of the trailer in concert with the corner jacks. Even when the terrain is very uneven and the load leveling hitch has to be raised much more than normal to get the bars into place, this jack doesnt seem strained regardless of how high I have to lift the rear end of the hitched Grand Cherokee! 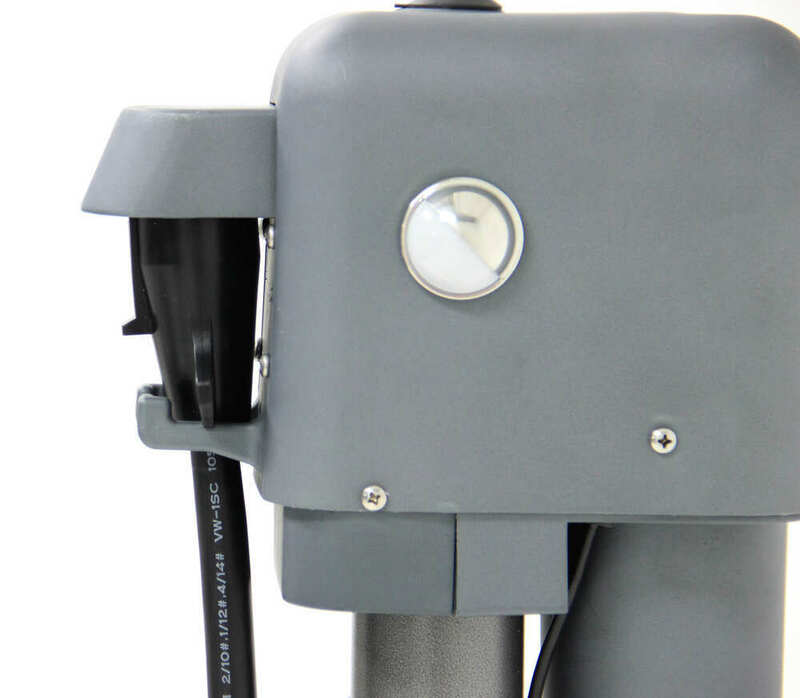 There is a white cap on the top lof the unit where the hand crank would go if needed. what is the white cap and what happened to the black one that is shown on the product in advertisementm?? 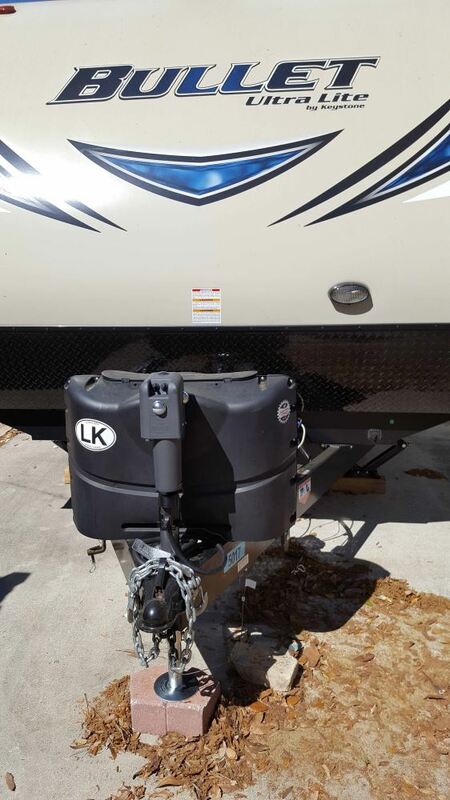 just as happy as a year ago!the jack still operates like new.This is a testament to the quality that Etrailer represents!! I have spent thousands on items and have NEVER had a follow up on an item I purchased let alone a year later to check and see if I was still satisfied with my purchase.Etrailer is the LEADER in the business world in executing customer service !!!!!! After more than a year the electric jack exceeds my expectations. I turned the jack 90 deg. which enabled the tailgate of my pickup to clear when trailer is hitched. This gives much easier ingress to the pickup bed. Jack is strong and the limit switches work which eliminates screw and worm drive damage on lesser jacks.Im a happy camper. The jack has worked well. The issue is every once and awhile it will make a grinding noise on lifting. Thank you very much for your feedback. 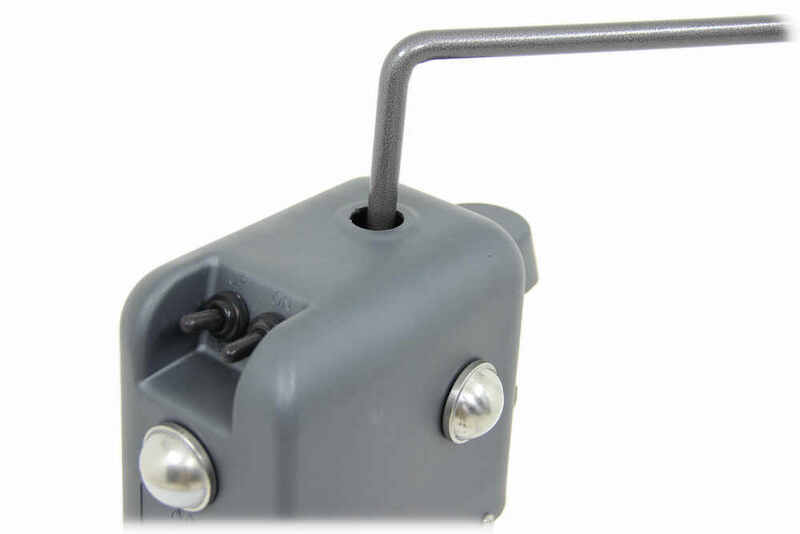 Since this jack uses the roller friction design it does not require regular lubrication of the jack screw. However, it is recommend to extend the jack fully and clean the inner jack tube, then coat with a light grease or silicone spray once a year. This information is represented in the installation instructions in the maintenance section. Still running strong, my wife and daughter have had many opportunities to use it and they love how simple it makes it to connect the weight-distributing bars. Seems to be holding up well. The fact that you're having difficulty doesn't necessarily mean there's a problem with the jack. Before manually operating the jack using the hand crank, the brake needs to be released. If you click the provided link to the video demonstration, and fast forward to the 4 minute mark, you can see how to release the brake. Once that's done, you should be able to manually lower the jack with no problem. 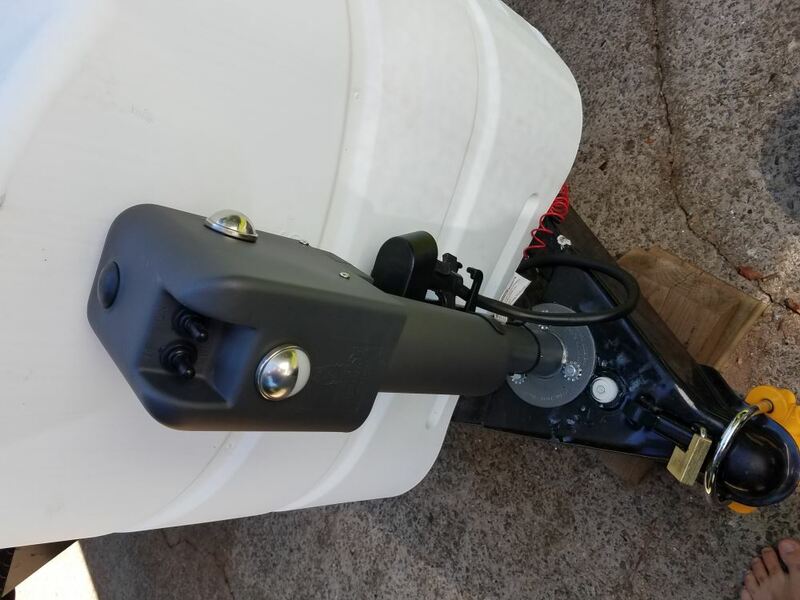 I attached a couple pictures that show the install instructions for the Husky Brute Trailer jack part # HT87247 that you referenced. The link you tried isn't active but the pictures I attached will pull up the same instructions. 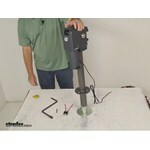 I also attached a link to an install video for you to check out as well. Great news, we have the replacement parts you need. For the access covers you will need # HT87456 and for the switch boot covers you will need # HT87454. 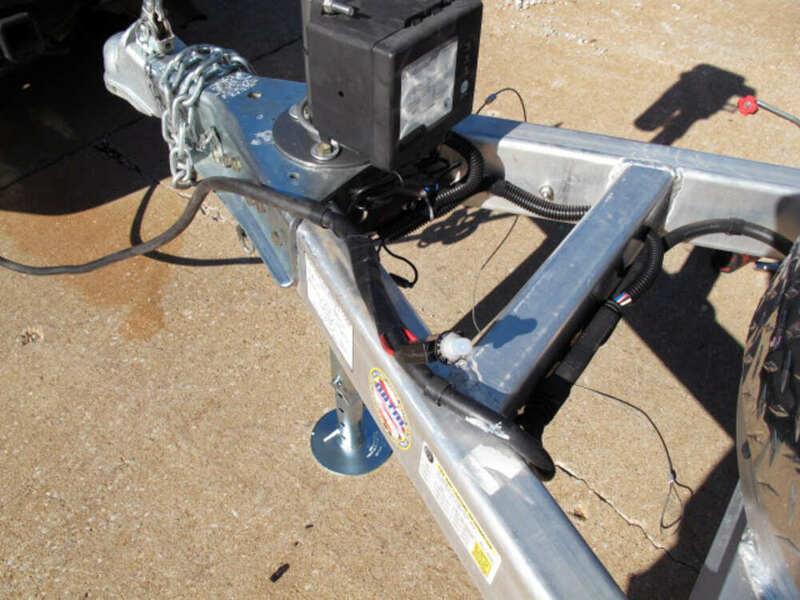 For your trailer all of our powered A-frame jacks would fit and work well. I really like the Husky Brute jacks like part # HT87247 because they have bearings in the screw and they just are rock solid at a great price. You really can't beat this jack. This is our most popular option for a good reason. 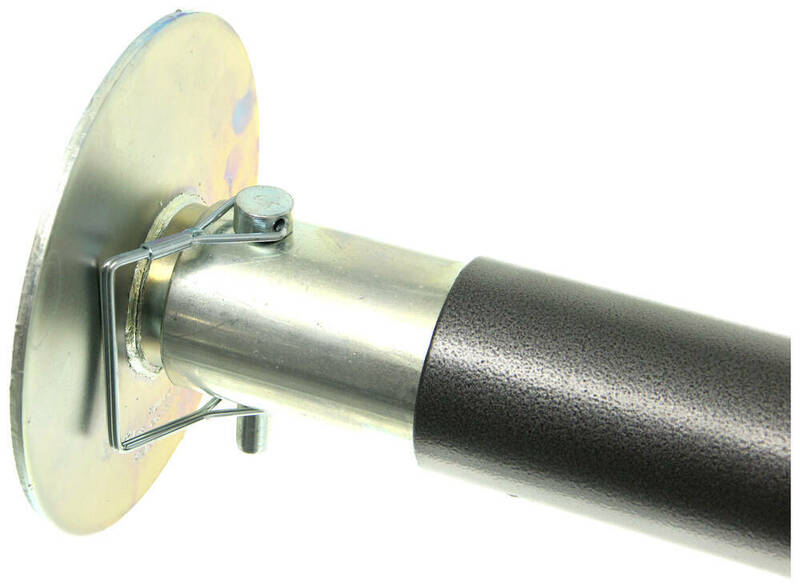 We do carry some of the items you need for your Husky Brute Electric Trailer Jack, part # HT87247. The Replacement Brake Release Handle is part # 87639. The Replacement Brake and Crank Cover, which includes the cover and grommets needed, is part # HT87456. The remote is not available for this jack as a replacement part. 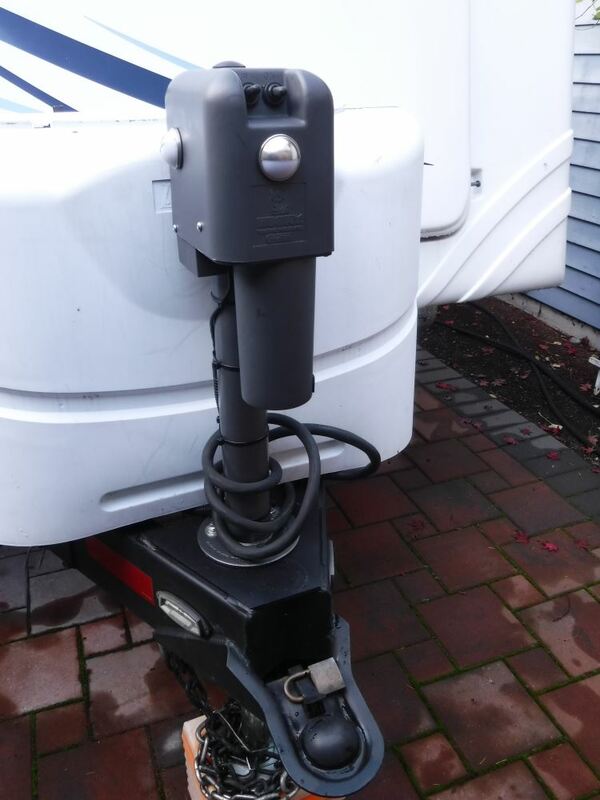 Since nearly all A-frame trailer jacks don't have replacement motors your best option will be to replace the entire jack. The Husky Brute jacks like part # HT87247 are my favorite to recommend as they have bearings in the screw of the jack so that the jack can operate smoother and faster than the competition. 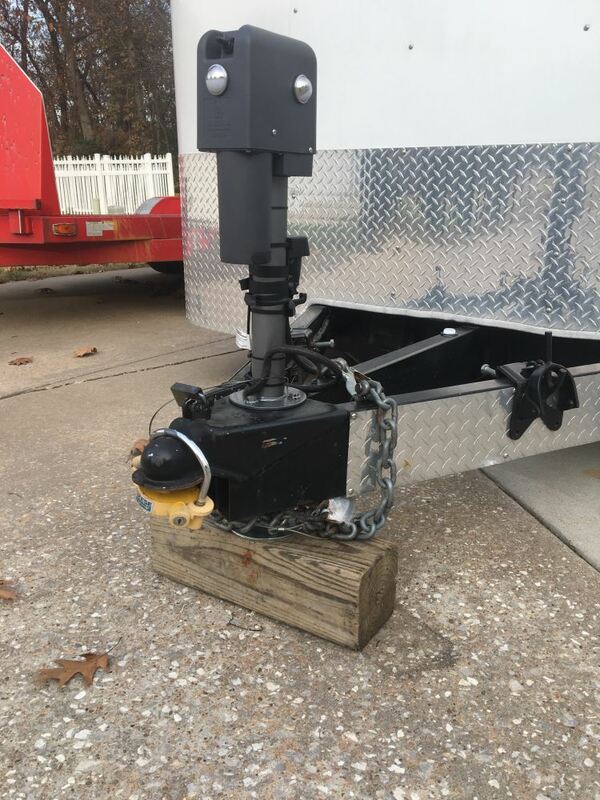 This jack also has lifting capacity of 4,500 lbs so it would be more than enough for your Keystone Springdale.